The QualitySpec Trek is a truly portable full-range spectrometer that is fast, accurate, and easy to use. From the makers of the FieldSpec, LabSpec, and TerraSpec product lines comes QualitySpec Trek, redefining true instrument field-portability while maintaining the highest standards of spectral data quality you expect from ASD. The QualitySpec Trek portable spectrometer delivers precision full range spectral measurements through a hand-held system designed around a radically streamlined cable-free workflow. With one pull of the trigger this hand-held, full-range, and portable spectrometer delivers accurate spectral results in seconds. By optimizing spectral collection workflow, portability, and ease of use, QualitySpec Trek saves time in the field and maximizes your research budget investment. There simply is no easier way to collect accurate full-range spectra. 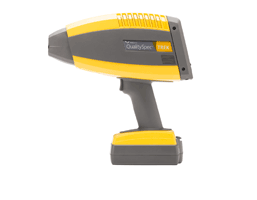 QualitySpec Trek is a general purpose, all-in-one, full-range, portable spectrometer measuring the visible and shortwave infrared regions (350-2,500 nm). 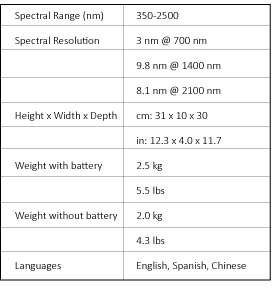 The instrument is designed for portable spectroscopy and includes an integrated internal light source, on-board GPS, voice audio recorder for expanded sample descriptions, internal white reference for hands-free optimization and calibration, lightweight rechargeable lithium ion batteries, automated internal wavelength validation, integrated computer and LCD display with easy push button navigation and a PC-based project and data management software ecosystem. Compact and portable: Lightweight yet rugged design allows unprecedented portability in a full-range highly accurate spectrometer. Fast and accurate: Enhanced spectrometer configuration builds on the trusted legacy of ASD for unparalled accuracy and performance. Cable free: Remove cable management from your data collection workflow with a truly cable-free integrated spectral collection system. Integrated computer and LCD: On board computing and LCD display eliminates the need for 3rd party laptops or hand held devices. Simplify your workflow and leave your PDA at home. Audio voice recorder: Automate your field notes with the convenience of voice memos. The QualitySpec Trek’s audio voice recorder feature can record useful descriptive information for each data point measured. 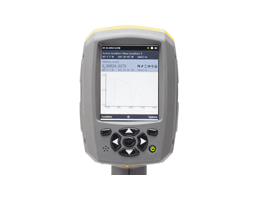 Internal wavelength and white reference capability: On-board internal referencing features ensure instrument performance, high data quality, and liberates the operator from the necessity of frequent white reference measurements. On-board GPS: Automatically populate accurate coordinate and elevation data for every measurement. Sample clip: Each QualitySpec Trek is shipped with a second magnetic external white reference that serves as a sample clip for scanning thin samples such as parchment, foliage, or fabric. Data management: Review and enlarge spectra on the device or on your laptop with the PC Manager. Laptop software allows for easy spectrum, file, and project management with user-friendly file naming, spectrum review and tagging, and easy import/export capability. Multiple languages: QualitySpec Trek is ready to address global markets with fully integrated English, Mandarin Chinese, and Spanish language options. 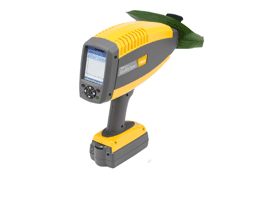 The QualitySpec Trek delivers precision full range (350 – 2500 nm) spectral measurements through a hand-held system designed around a radically streamlined cable-free workflow. With one pull of the trigger, this portable spectrometer delivers high quality spectral data that has become synonymous with ASD instruments. For more information on The QualitySpec Trek please visit our Knowledge Center.